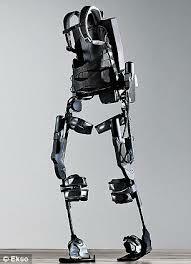 Bionic Women Completes Great North Run. 'Claire Lomas of Leicestershire, England has just completed the Great North Run, the biggest half marathon in the UK, despite being both paralyzed and 16 weeks pregnant. 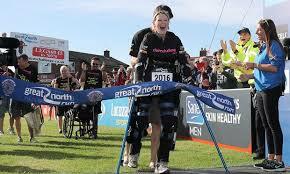 Wearing a bionic suit by ReWalk Robotics and assisted by her husband Dan, Claire reached the finish line in 5 days. The course runs for 21 km (13.1 miles) from Newcastle to South Shields. 36-year-old Claire was paralyzed after a horse riding accident 9 years ago. Prior to the incident, she was a professional event rider. During an event, she was thrown from her horse breaking her neck, cracking her ribs and back, and also punctured a lung. Click to review full article.